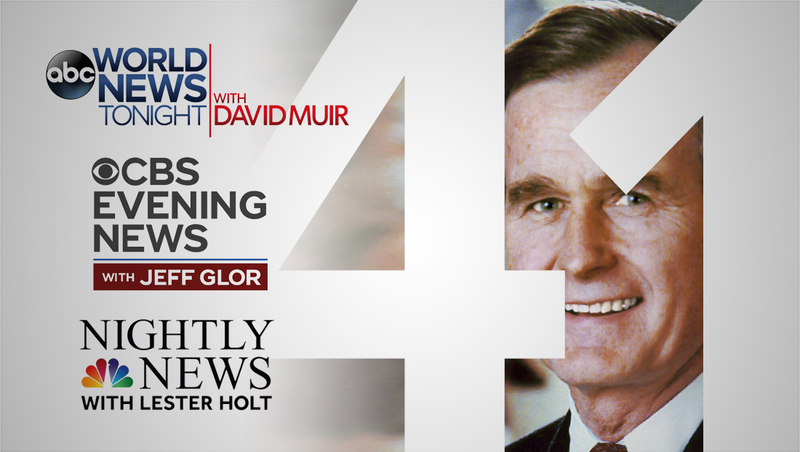 ‘ABC World News Tonight‘ originated from Washington. 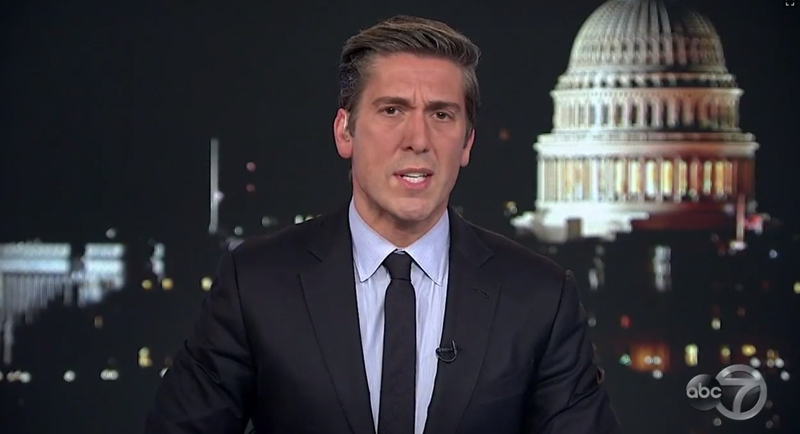 ‘World News Tonight’ anchor David Muir anchored in front of a video background of the Capitol. 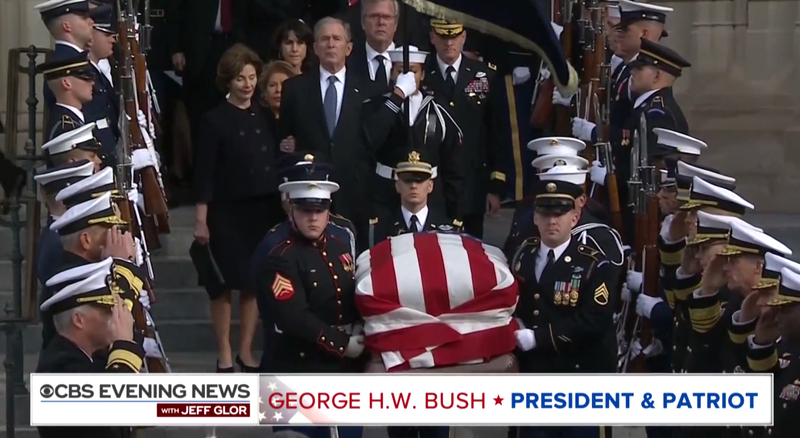 The broadcast also added Bush’s photo in the lower left next to its normal lower thirds with a ‘Celebrating a President’ tier added above. 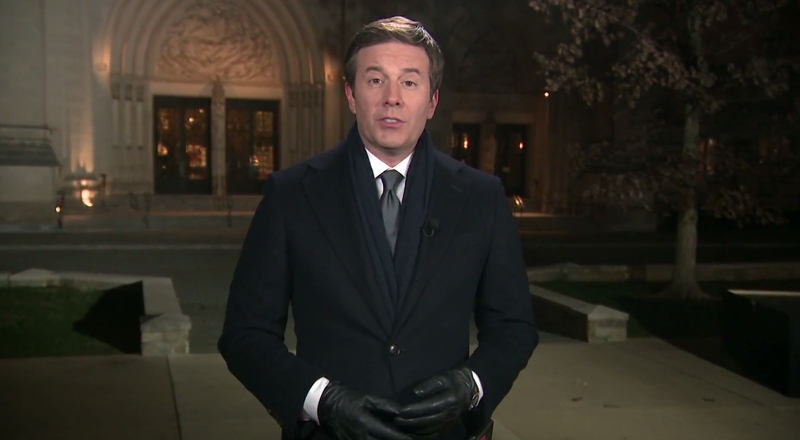 Jeff Glor was the only three of the major network anchors to anchor from in front of the National Cathedral, the site of Bush’s funeral. 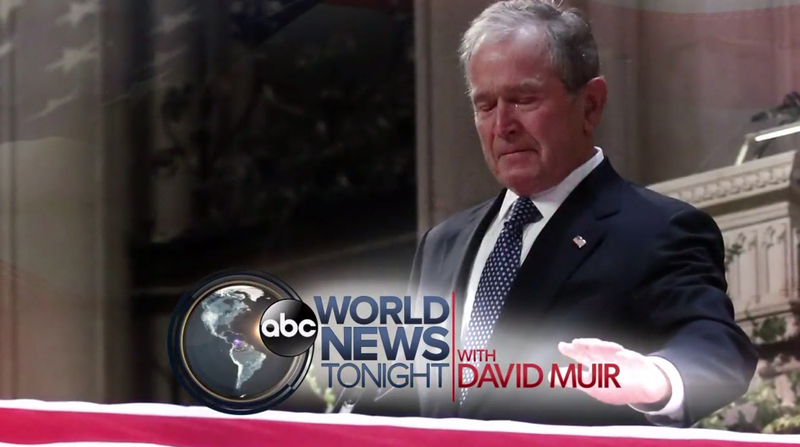 ‘CBS Evening News‘ also continued to use its ‘President & Patriot’ branding in its lower thirds. 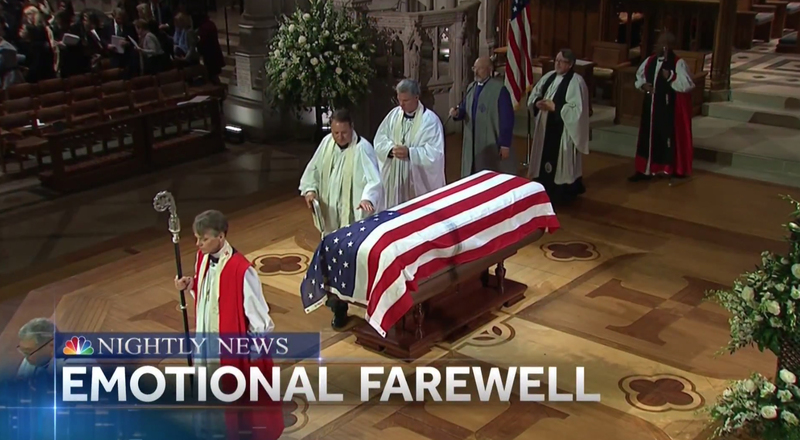 ‘NBC Nightly News‘ also lead with the story. 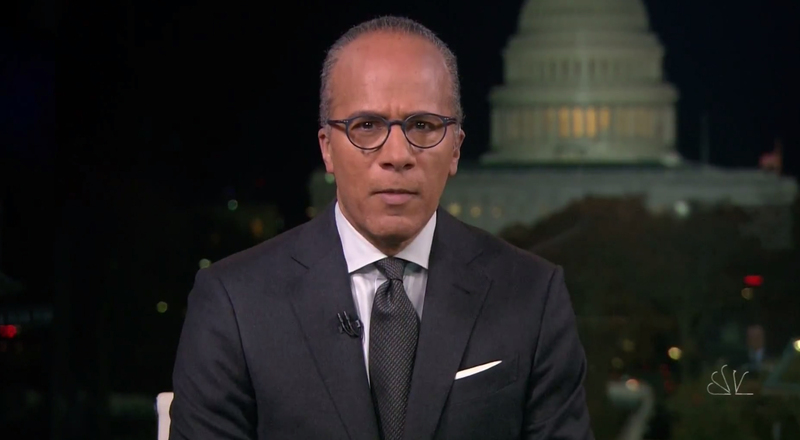 Lester Holt anchored from the network’s bureau from Studio N4, which features a window overlooking the Capitol behind it. 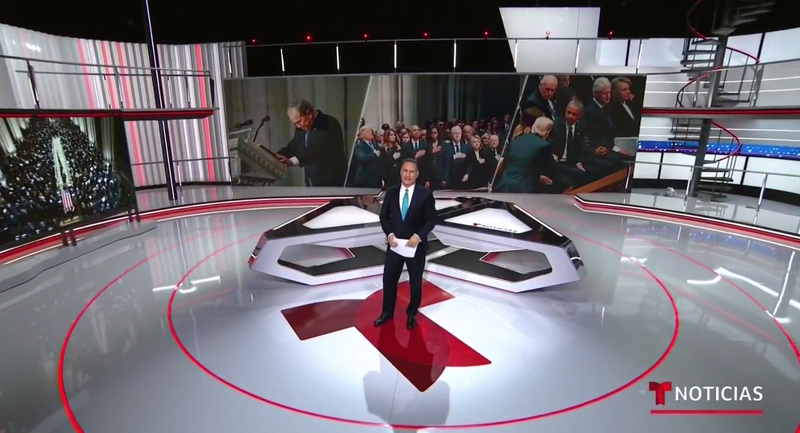 NBC’s D.C. bureau also features Studio N5, which is larger and has more video walls. It previously featured a window view but this has since been removed in favor of using video walls. 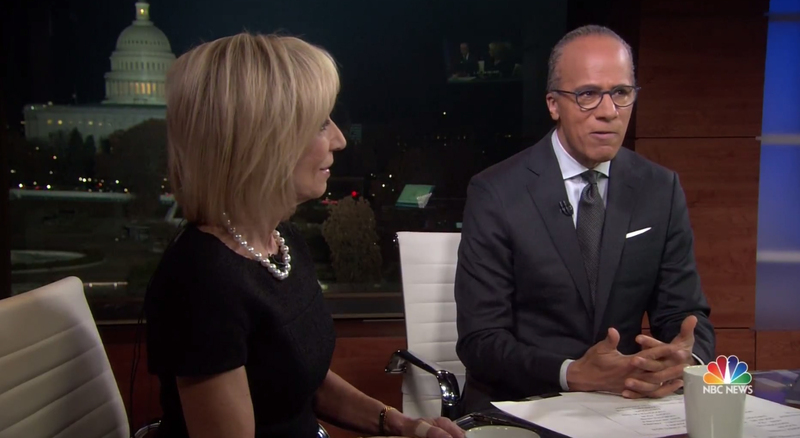 Holt was joined in studio by Andrea Mitchell in Studio N4, who offered brief commentary on the events of the day. 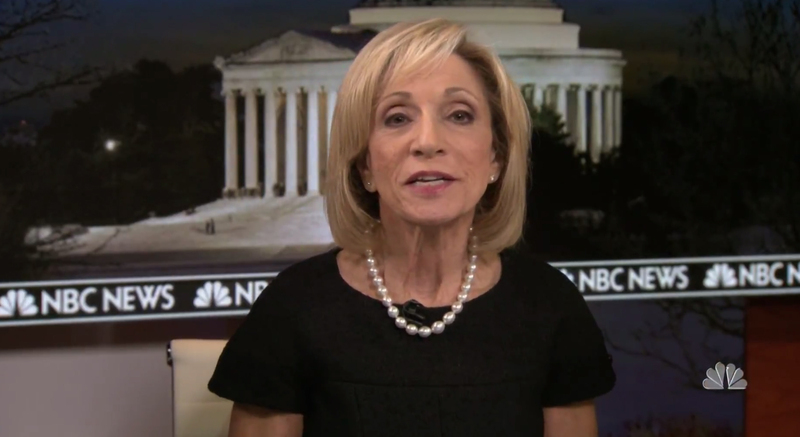 Mitchell’s one shot featured an image of the Jefferson Memorial with an NBC News logo strip. 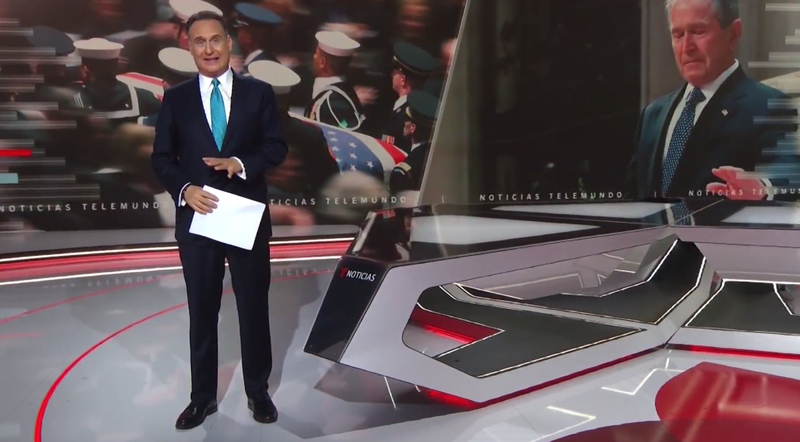 Spanish language ‘Noticias Telemundo‘ had anchor Jose-Diaz Balart anchor from his normal Miami studio. 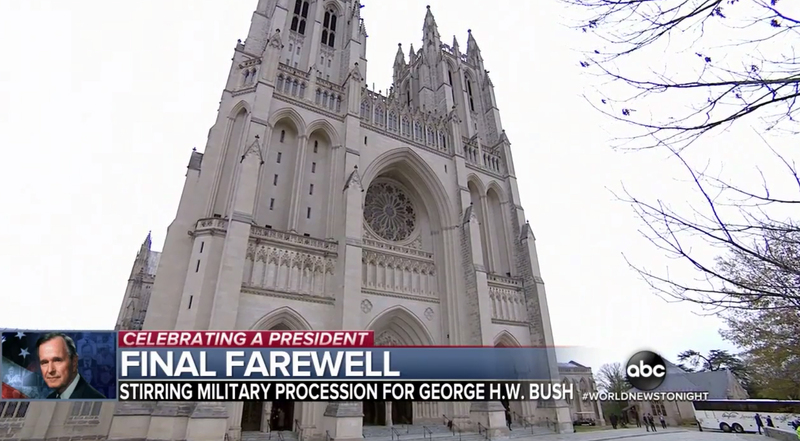 The studio’s video walls were used to showcase stylized imagery from the day, which was revealed using a horizontal band animation effect.